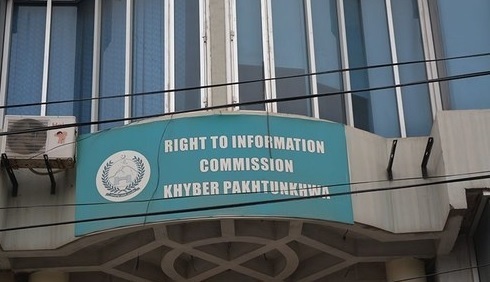 PESHAWAR: The Right to Information (RTI) Commission, formed by the Pakistan Tehreek-e-Insaf (PTI) in Khyber Pakhtunkhwa under the RTI Act 2013, is becoming a routine law due to the negligence of its staffers, but Minister for Law Sultan Khan says to make this effective. “We will make the RTI Act more effective during our tenure,” he said. But one of the officers of the commission said that the former government of Pervaiz Khattak tried to disrupt the real face of the RTI Act. Some of the former PTI lawmakers tried to exempt few more departments from the act, he said. On Nov 20, 2017, a citizen Shamim Shahid requested the provincial assembly to provide educational qualification of its one of the employees. On Dec 22, 2017, the applicant again submitted his complaint against the assembly office for not providing the details in due time. After a few months, RTI office provided the information to the applicant. “All the claims about the RTI Act have been buried, as this (RTI Act) is like any other government department now,” the applicant said. In July 2017, this reporter asked for information about expenses of foreign tours of the lawmakers and the assembly officers. On August 28, 2018, a complaint has been lodged regarding this case, but neither RTI take notice of this negligence nor the assembly shared its record. Without sharing details of the expenditures, the assembly management could provide only names of the lawmakers and the officers who had toured during 2013-17. Although, the RTI Act has few deficiencies like lack of service structure and weak rules of business but the officers of the commission are also responsible for bad performance. As per the rules, an applicant must have to receive all the information within 60 working days. In dozens of the cases, the commission has failed to make it possible. The commission can fine any department who couldn’t provide information on due time. In another application, this scribe asked for information from the University of Peshawar’s Journalism Department but failed to get back response despite many complaints. In this case, RTI again failed to compel the public institution to provide the information. The provincial minister said that the government would make the act more effective.